Both the above pearls of our insular culture may contain some relevance to putting Dagan’s and Diskin’s spasms of loquaciousness into some semblance of context. It may well be that both our former top guns are giving vent to run-of-the-mill run-and-tell inclinations so pervasive in our minuscule milieu. Most our ex-generals and other security services higher-ups find it hard to find themselves out of the loop. Our undersized arena bursts with an overabundance of posturing Napoleonic knock-offs – cocky military types and prolific know-it-alls – who presume to exclusively possess what it takes to dictate Israel’s agenda. But the “opposite-on-opposite” scenario is far more appealing. Indeed, it’s downright comforting to believe that Diskin and Dagan are sophisticated performers in a carefully scripted plotline aimed at swaying the whole world to accept the authenticity of the very facade against which they ostensibly squeal at the top of their lungs. In other words, rather than hawk sour grapes, they’re in actual fact altruistic actors. It would be reassuring to trust that these two aren’t cast in the mold of assorted self-important omniscients who proliferate in our puny provincial pond, where they’re prone to shoot off their mouths in the informal contest for which proverbial rooster crows loudest. It’s nice to imagine that the proclivity to prattle is part of a grand cunning scheme, a clever disinformation ploy to obfuscate, leave the enemy wondering, guessing and unsure, to throw the whole watching world into a tizzy, to convince all and sundry that we’re led by a trigger-happy lot. The convoluted subtext is that, if not somehow placated, we might nuke the neighborhood. This image could be essential to induce fellow democracies to comprehend that something effective had better be done about Iran because we’re losing patience with the international community’s dalliance. The West’s inaction is liable to force us to step into the breach ourselves. Dagan and Diskin, obviously no novices in sly stratagems, would be the wiliest choice to persuade the world to get on Iran’s case because otherwise the field would be left to Binyamin Netanyahu and Ehud Barak, whom both ex-chiefs assiduously build up as a demented and dangerous pair. In crafty collusion, the two Ds hype the scary factor of Bibi and Barak (the two Bs). The supposed subterfuge might not be outlandishly implausible, on condition we accept the premise that real life can be as elaborately tricky as espionage yarns. Why else, we may be tempted to ask, would the Ds choose this especially sensitive juncture for their frenzied verbal regurgitation? By the scales of conspiracy theory devotees this cannot be accidental timing. The Ds, moreover, were until recently the guardians of our deepest national secrets. It’s more than a little unexpected for them, of all ex-hotshots, to blab in order to carp. Otherwise, how are they better than Anat Kamm? For those who forgot, she’s serving time for having duplicated 2,200 documents, while she worked in the OC Central Command’s office as a young conscript, hiding her haul, hanging on to it long after her discharge and finally handing it all over to Ha’aretz reporter Uri Blau who absconded with it. True, the Ds didn’t have to fiddle with computer files. But spilling the beans is spilling the beans, the modus operandi notwithstanding. Even staffers in private business firms must sign undertakings not to tattle about confidential company data after their employment has ended. However, like Kamm, the Ds glory in the pose of courageous whistle-blowers desperately defending the public’s right to know. Here too pseudo-moral narcissism is lauded by this country’s domineering left-leaning media as the epitome of politically correct bon ton. Not only did the Ds, like Kamm, thumb their noses at their most minimal obligations, but their cheerleaders now tell us that, like her, they did so out of conviction that they know best what’s best for us. Yet do they know better? Did they discover Gilad Schalit’s whereabouts for five years right under their noses? Did they foresee a smidgen of the upheaval misnamed as the Arab Spring? Their list of failures or not-quite-successes is too long to inspire uncritical adulation. We could kiss our national interests goodbye if each member of our defense hierarchy – regardless of status – were to decide that he/she is empowered to determine national policies and/or subvert endeavors not to his/her liking. That may be precisely what assorted varieties of leftist anarchists fervently desire. Their goal is to destabilize, even abolish, all authority. To that end, the Ds, like Kamm a couple of years ago, are an absolute boon. The spinmeisters embraced Kamm as a youthful idealist purportedly entitled to impose upon Israel’s democratic collective what she deemed appropriate. These very spinmeisters now genuflect to the Ds’ professed professionalism. They wouldn’t gripe without reason, we’re told. But why did the Ds conceal their mistrust of the Bs for so long? If they were certain that we entrusted our government into inept hands, why didn’t they alert us earlier? Why did they keep working with incompetents for so long? Why did they seek extended tenures and why did they accept them? Why didn’t they resign in protest in real time, which would have been the honorable move to make? To grumble from the sidelines is too much like what many of us do in Friday evening gossip and fix-the-world sessions. The Ds shouldn’t be automatically absolved of all ulterior motives. They provided no proof, only innuendo. The fact that the insinuations in question came from ex-big wheels hardly renders them infallible. The Ds don’t know anything more than their erstwhile bosses. The Ds had already briefed the Bs on whatever intelligence they gathered. If the two twosomes are indeed at loggerheads, it can only be over differing analyses of said information. Here the Ds’ opinion isn’t necessarily superior. It’s an opinion. This is where things get dicey. Do the Ds really imply that their opinion deserves to override that of members of a democratically elected government? If so, they’re in effect suggesting that spymasters should by right and rank call the shots or at least instruct the voters how to cast their ballots. How will the Ds react if Netanyahu is reelected? The Ds’ conceit, to resort to understatement, smells bad. The tendentious commentators and talking heads who avidly boost the Ds need to think about the ramifications of backing security chiefs over elected representatives. Beyond this issue of elementary civic hygiene looms the Iranian menace. If the tantalizing “opposite-on-opposite” twist of spy fiction hasn’t bizarrely manifested in this particular tawdry episode, then Dagan and Diskin are actually pushing us into a military conflict with Iran – the very conflict against which they rail. One of Netanyahu’s and Barak’s most incontrovertible achievements is denting the indifference abroad to Iran’s machinations. To no small measure this was pulled off via the threat of an Israeli preemptive strike. Winning the ear of the US and the EU is utterly indispensable at this point. Only concerted international action can replace an Israeli attack. The international community will do nothing if it doubts our assessments regarding Tehran or our determination to foil the ayatollahs. The Ds’ irresponsible nattering weakens Israel’s cause overseas and thereby undermines the likelihood that Iran’s nuclear project can be defused without use of force. The Ds’ superfluous chatter jeopardizes the international coalition against Iran, demoralizes Israelis and emboldens Mahmoud Ahmedinejad. Do acclaimed experts like the Ds fail to understand this? Or has frustrated ambition and cynicism blinded their judgment? If so, it’s time for us all to pay heed to two more of Wilde’s peerless aphorisms: “Ambition is the last refuge of failure” and “a cynic is one who knows the price of everything and the value of nothing. The credible threat of an imminent Israeli attack on Irans ILLEGAL nuke installations has brought about meaningful sanctions against the Iranian terror state for the first time ever…but nevertheless, it is perfectly clear, that Iran will never ever give up it’s mad dash to aquire nuke and missile technologie ! The threat alone will N O T stop the mad mullahs !!! Iran will not retaliate against American assets out of FEAR to draw the US in…that is for sure ! Iran will also think twice, to attack Israel with missiles…any such attack during the US election campaign will FOR SURE bring about a DEVASTATING US response against Iran ! There also seems to be a yellow liquid of some sort flowing downwards into those said boots. I am also ready to break (or seriously bend) the rules Sarah. I am ready to use nuclear weapons on Iran’s bomb-building facilities. Alas, if all Jews were as wonderful, beautiful, and as loyal as you and I, Sarah, the world (Jewish and otherwise) would be a much, much better place in which to live. “The Ds’ irresponsible nattering weakens Israel’s cause” – In countries that are big and strong enough, like USA and Gt Britain, such top-ranking intelligence chatterboxes would have found themselves covered with public shame, ostracised and too embarrassed to show their faces in public. In time of peace, that is. In time of war they would have been imprisoned if not court-martialled. Israel is a tiny country always at war, now perhaps in a particularly militarily dangerous situation. The conduct of the last wars, starting with the Yom Kippur one, should be a cause of considerable worry for everybody here, first and foremost the intelligence nabobs who haven’t been doing all that well at all. What’s happening with those two self-obsessed praters, so succinctly summed up in Ms Honig’s article, is a sign of Israel’s deep-reaching abnormality, which is potentially suicidal. I think the Israel house is divided at the top between the little grasshoppers who keep looking over their shoulder towards big Egypt to lead the tiny fearful nation which seems to think America is her God. The erratic and confused little grasshoppers keep bumping into each other as pride always leads to the inevitable clash of ego’s. It seems that the ever wise grasshoppers see themselves as too small and fearful and look to others(but never God alone for help ) the same mistake repeats again and again in Jewish history. A crisis of faith has bubbled to the top and it is evident as it is with the last little grasshopper, Israeli Prime Minister Zero, O-lmert that they think their Pharaoh god on the Potomac will save Israel. The good news is that soon this clash of egos in Israel will end permanently. Humble leaders who seek to please God alone will arise and those who pimp Israel to foreign gods who cannot save will be relegated to national sins of the past. 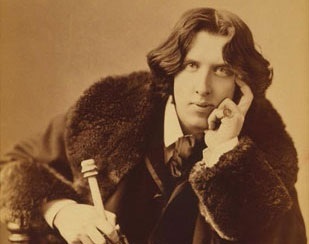 I chose to disagree with Oscar Wilde’s wit: ““the only thing worse than being talked about is not being talked about.”. I believe it is best not to be talked about. About the two D’s as they are referred to, isn’t it just possible that they are speaking their minds? One can and should object to their dialectics. Not every one is endowed with Wilde’s wit. I believe the issue of Iranian nuclear weaponization is too serious to be associated with the likes of Kamm. Where IS the international effort to stop Iran? Nowhere, as far as I can see. Iran grudgingly participates in “talks.” while enriching more uranium every day; and resisting the efforts of IAEA inspectors to examine the results to their technical “achievements.” The reality is that sanctions haven’t worked, and the sanctions touted by the Barack Obama aren’t supposed to take effect until July 1st. By that time, Iran will be VERY close to having enough processed uranium to build a nuclear weapon; which Obama well knows. Thus the conclusion that Obama doesn’t want sanctions to work isn’t at all far-fetched; and to take this a step further, one could say that Obama doesn’t care if Iran goes nuclear. But someone has to care; unfortunately, that someone is Israel. ***EVERYONE*** who is engaged in irresponsible babble, that could weaken Israels determination to stop Irans plans for the nuclear destruction of the Jewish state, should be considered a ***TRAITOR*** and be dealt with accordingly…! We have only a few months left, at best, to spoil the evil nuke project of the Iranian Nazi mullahs…how can ***ANYONE*** in his right mind belittle the ongoing preparation for the nuclear annihilation of the state of Israel…? Sarah, You are discussing perfidy, and in that regard we should look to the very under reported NYC story about the Holocaust Claims Committee theft of over $50 million. Shameful.